Whether you’re upgrading, downgrading, or had job repositioning, there are many varied circumstances that would cause a family to move from your home in Manchester NH. You can decide to move to multiple locations for varied reasons. Some cases, however, demand a family to move internationally. When you need to move long-distance, it can present some serious issues. And a professional moving company can be of great help at such times. If you are about to move internationally, you might want to check out these moving tips to prepare yourself. To be able to determine the cost of your move, first, figure out the items you are moving. For that, first, take a survey of your home to decide the items you want to be shipped. A professional moving company Manchester can help estimate all the cost for you including the cost to pack and ship. The cost will depend on the number of goods you have and the type of goods. Remember that the payment will be done based on volume, so it is a good time to cleanse. Give up old items and those that need to be replaced. Usually, a professional moving company will ship your items in a container when you are moving internationally. The mode of transporting that container depends upon the company you are hiring. Make sure to choose a professional moving company that will tackle all your customs paperwork and is familiar with the International processes. Get insurance for your move. A professional moving company Manchester that is licensed will offer you extra protection for your items. It will cost you extra but it is wise to spend the money and cover your items. The cost for the protection will differ depending on how much you are shipping. What will a professional moving company offer? Coordination at the unloading spot to get the goods delivered. They should not only get the items delivered to your new home but also get them unloaded into the house in their proper spots. Some also offer additional auto transport, packing services, and freight forwarding if needed. 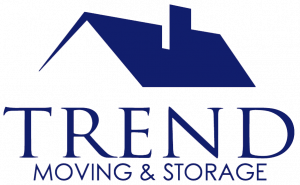 Our moving specialists at Trend Moving are reliable and experienced in all sorts of moving including international moving. Call professional moving company Manchester today to plan your long-distance transit. (603) 548-1738!